Barbizon Midwest Review: Oana Gregory Exclusive! Barbizon Midwest of Schaumburg Grad and Actress Oana Gregory (age 17) has made quite her mark in the entertainment industry, especially since the premiere of Disney XD's 'Crash & Bernstein.' Oana portrays Amanda Bernstein, Wyatt's wickedly smart and notoriously impatient 16 year-old sister. On working with the rest of the girls, Oana tells the March issue of Dream Magazine, "It's great! We get along like sisters. None of us actually have sisters so we have a lot of fun playing sisters." TWIST: For those of our readers who don't already watch 'Crash & Bernstein' why do you think they should check it out? Oana Gregory: I think it's a show for a range of ages, so I think a family with older kids and younger kids can tune in and watch, and there are a lot of characters to relate to. TWIST: You mentioned that 'System Crash' was one of your favorite episodes, do you have a number one favorite episode? Oana Gregory: Oh, no, I can't choose a number one favorite! Every single script we get every week, I'm just like, "Oh, this is so funny!" I can't choose, but that one was one of my favorites 'cause I got to play football. I like to watch football. I don't know if I'd be that great at playing it. I'm not very sporty. TWIST: How do you relate to your character Amanda? Oana Gregory: Amanda and I relate in terms of our fashion sense; we wear the same things. It's fun dressing up for Amanda. I like playing her as an older sister because I'm a younger sister, so it's really fun. 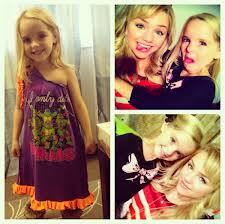 Oana Gregory: It's really fun, we get along so well, especially Landry [Bender] and I. Landry plays my younger sister Cleo. We're all just like best friends, hanging out, doing school. TWIST: What's it like to be working with a puppet? Oana Gregory: It's pretty weird, but we got really used to it. We react to the puppet as if he's just another actor. TWIST: Do you have any funny prank stories from the set? Oana Gregory: Yeah, pranks done one me! We had a bug episode that aired around Halloween, and there was a bunch of fake plastic bugs all around set, and they decided to put one in my purse. So, I went in my purse to open it, and there was a giant cockroach in it. I just started crying. It was really sad. I need to get them back. Oana Gregory: The first week of filming, when we all bonded and started to get to really know each other and grew as a family. From then on, there are just so many memories that we love. TWIST: You recently turned 17, happy belated birthday! What did you do to celebrate? Oana Gregory: Thank you! My family took me to Lake Tahoe, because I love snowboarding and we don't get a lot of snow down here, so we did that, with my whole family. 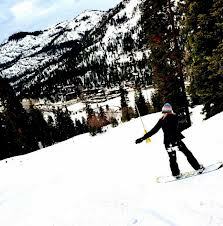 That was my first time snowboarding and I fell on my face about five times or so, but it was really exciting because I got to learn to snowboard. TWIST: Do you have any other projects? Oana Gregory: As of now, I'm just work on 'Crash & Bernstein.' But I do sing! TWIST: Do you want to do music? Oana Gregory: I think that'd be really cool, yeah. I would definitely look forward to doing something like that!